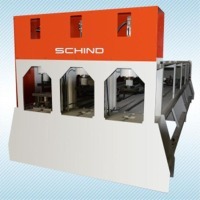 Dicing Blade : Usage of the products : Wafer Grinder Wheel to adjust the thickness and height for easy Chip packaging with the Patterned Wafer that completed FAB process, which is the pre-process in the semiconductor manufacturing process. Features of the product - Si Wafer Damage minimizing design - Productivity & Life Time optimizing designed. Clear or color machine stretch film for conventional automatic and semi-automatic pallet wrapping. Fast wrapping and film stretchability up to 350% on automatic pallet wrapping machines with low noises. 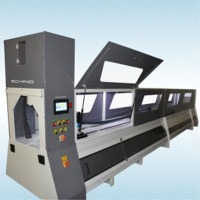 This product possesses many features and benefits: Reduces material cost and film waste Ensures super tight load stability for high-security storage & transit. 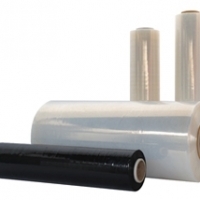 Alternative to strapping, tape, corrugated and shrink film packaging. 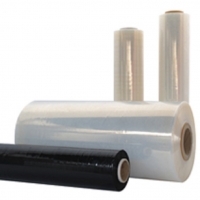 Enhances inventory management & security wrapping with opaque, colored & tinted films. Wraps pallets easily. Our manual machine stretch film is used for conventional automatic and semi-automatic pallet wrapping. Furthermore, this product is advantageous for its: High puncture resistance with multi-layer structure. High clarity for effective inspection of goods. Film stretchability (Up to 350 %) on automatic pallet wrapping machines with low noises. This product is manufactured by INDEVCO Group and NAPCO manufacturing plants. Short on time? 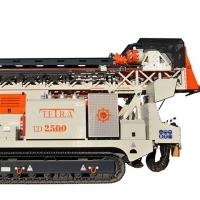 Let drilling-machine sellers contact you. Yangzhou Noah Star Machiney Tooling Co., Ltd.
Model : HK16 VARIO Max. drilling capacity : Max. 16mm Max. face milling capacity : Max. 50mm Max. end milling capacity : Max. 16mm Working range : 175mm Working table size : 400X120mm T-slot size : 10mm X-axis travel : 220mm Y-axis travel : 160mm Z-axis travel : 210mm Taper of spindle bore : MT2 Sleeve travel : 52mm Range of spindle speeds : 50-2250rpm Headstock tilt left & right : 450 Motor power : 500W NW/GW : 70/90Kg. Package size LXWXH : 500X450X760mm. A wide range of bench and pillar drill and radial drill machines are available with us. Drill machine. We make drills with starting capacity 20mm to 50mm. Gorbrex Machinery Trade Sp. Z O.O. A bush is a mechanical fixing between two, possibly moving, parts, or a strengthened fixing point where one mechanical assembly is attached to another. In a car or other vehicle's suspension, bushes are used to connect the various moving arms and pivot points to the chassis and other parts of the suspension. We have an manufactuiring unit so all sizes of bushes are machined and supplied by us. Drilling cap. 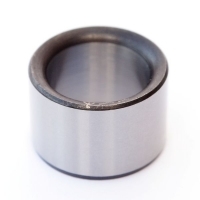 In Steel	38 Drilling cap. C. I. 45 Tapping in M. S.	15 Spindle center to col.	320 Spindle travel	240 Spindle nose to base	1000 Dia. of column	121 Dia. of RAM	72 Size of Sq. Table	375 x 475 Overall base size	720 x 470 No. of spindle speed (8 speed)	90 to 2630 Taper in spindle base	MT-3 Machine area of base	485 x 445 Drill motor (gear drive)	1.5 HP 1440 RPM Total height of machine	1800 V-Belt size	B-58 Net Weight 325 Kgs.